Labradoodles are quickly becoming one of the most popular dog breeds in the country (along with their cousin, the Goldendoodle). Have you been thinking about adding one of these adorable fluffballs to your family? You probably have a lot of questions about this popular hybrid. We want to give you as much information as possible to help you decide if the Labrador Retriever/Poodle mix is right for your family. We’ll also discuss the differences between the Labradoodle and the Goldendoodle. The Labradoodle was first bred intentionally by Wally Conron. He was leading the breeding program for the Royal Guide Dogs Association of Australia in 1989 when he was asked to produce a hypoallergenic guide dog for a blind woman in Hawaii whose husband was allergic to dogs. He crossed a Labrador Retriever with a Standard Poodle, and one of the resulting puppies was a nonshedding dog with the right personality to become a guide dog. The Labradoodle has exploded in Australia, the United States, and the rest of the world ever since then. While the Australian Labradoodle Association and the International Australian Labradoodle Association are trying to get breeders to do multigenerational breeding to create a breed standard, first-generation and second-generation mixes are still the norm in America and many other places around the world. The problem with first- and second-generation hybrid dogs is that genetics are unpredictable. While the aim is for a dog with the nonshedding properties of the Poodle and the friendly personality of the Labrador Retriever, you can also end up with a standoffish dog that sheds like crazy and needs haircuts anyway. Since genetics are so unpredictable, let’s learn more about the Labradoodle’s parent breeds so you can have a better idea about what sort of traits you might expect to see in a Labradoodle. The Labrador Retriever was bred in Canada to retrieve nets, fish, and ducks for fishermen in Newfoundland. Their short coat resisted icing up in the frigid Canadian waters, and they were bred to have a friendly personality to match their hard-working side. The Labrador Retriever has been the most popular dog registered with the American Kennel Club for the last 28 years. 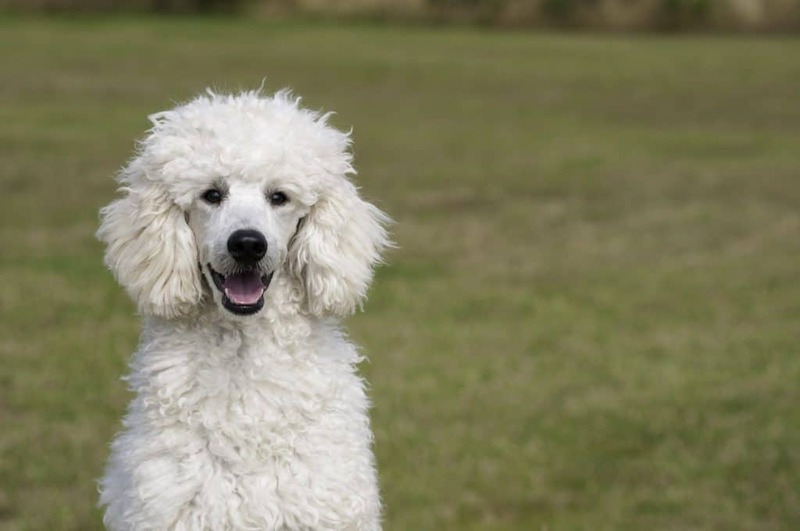 Even though the Poodle is the national dog of France, they were actually developed in Germany as water dogs. The breed was created more than 400 years ago to retrieve ducks, and the name “Poodle” is derived from the German word “pudelin,” which refers to splashing in water. There are three sizes of Poodle. The original Poodle size was the Standard Poodle, which is the largest size. From there, small Poodles were bred down to Miniature and Toy sizes. The Labradoodle’s size can vary greatly depending on what size of Poodle is in their lineage. In general, Miniature Labradoodles weigh 15-30 pounds, Medium Labradoodles weigh 30-45 pounds, and Standard Labradoodles weigh more than 45 pounds. Genetics is a goofy thing, though, so there is no guarantee that your Labradoodle puppy will grow to the size claimed by the breeder, and there is no standard sizing or naming for Labradoodles since there isn’t an official breed standard. That means a breeder could call a 45-pound dog a Miniature Labradoodle, and a Standard Labradoodle could weigh up to 100 pounds. When possible, ask to see both parent dogs if you are looking at getting a puppy. While there are no guarantees, puppies are likely to grow to be somewhere in between the sizes of their two parents. While there are no guarantees with hybrid dogs, Labrador Retrievers and Poodles have some similarities in their personalities that you can expect to see in a Labradoodle. They also have some differences in their personalities, and you can’t predict which personality traits a Labradoodle will receive. Both Poodles and Labrador Retrievers are very intelligent dogs, with researchers considering the Poodle to be the second-smartest dog breed (second only to Border Collies). That means that Labradoodles are typically easy to train, especially if they get the eager-to-please personality of their Labrador parent. While Labrador Retrievers typically love just about everybody they meet, Poodles can be a little more standoffish with strangers, especially the smaller sizes. Keep that in mind when you bring your Labradoodle puppy home and make sure you spend plenty of time socializing them to reduce the odds of them becoming snappy with people or dogs they don’t know. Responsible breeders do various types of tests on their breeding dogs to reduce the likelihood of passing on bad genes. These breeders often charge more for their puppies, but you are more likely to get a healthier dog than if you get a puppy from a breeder who is more concerned about money than the overall health of the Labradoodle breed. While Labradoodles can be great dogs, they aren’t the right fit for every family. Here are some tips about how to care for a Labradoodle. You should think seriously about whether you and your family can meet all of these requirements before bringing a Labradoodle into your home. Different sizes of Labradoodles have different food and diet requirements. Standard Labradoodles will generally benefit from a dog food designed for large breed dogs, while Medium and Miniature Labradoodles will do well on any premium dog food. It’s important to note that the quality of food you feed your dog can impact their quality of life. While premium dog food may cost more initially, it can help reduce vet bills that can be caused by health issues that may result from poor-quality dog food. Cheap dog food is full of fillers with no nutritional value and is the equivalent of human junk food, which can lead to obesity and inflammation. Both Labrador Retrievers and Poodles have a ton of energy, so you can expect your Labradoodle to need at least 30 to 60 minutes of exercise every day. If you’re looking for a jogging buddy, a Labradoodle is a good bet, and if you run them daily, they may be OK living in an apartment. However, these high-energy dogs do best with a yard that they can run around in. Most Labradoodles love a good game of fetch, and they will chase after a ball, stick, or Frisbee until either you or they collapse from exhaustion. A Chuckit! Classic Launcher Dog Ball Thrower can help you throw a ball faster while keeping your hands clean since tennis balls easily pick up slobber and mud. 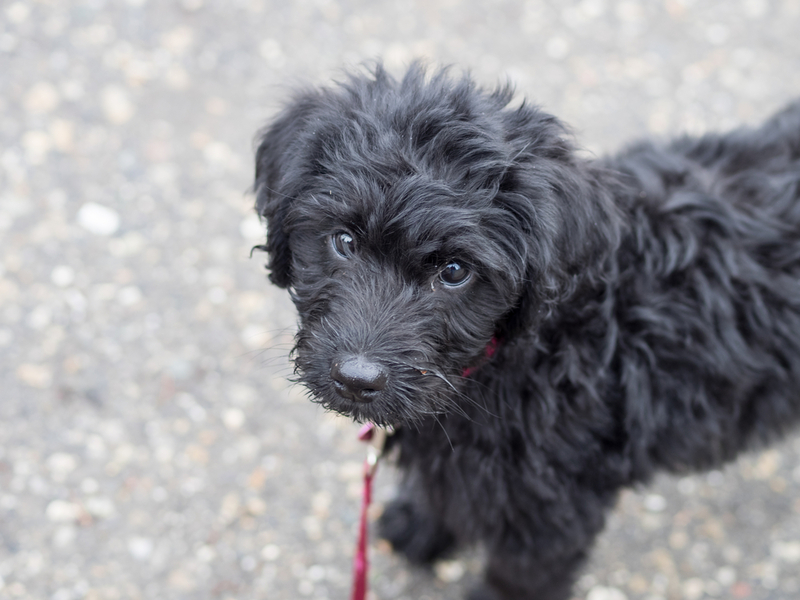 You should start working with your Labradoodle puppy on basic obedience as soon as you bring them home. These intelligent dogs thrive on learning new tricks, and you’ll want to teach your puppy some manners before you have a 75-pound dog jumping on you every time you stand up. Socialization is also key since Labradoodles may inherit a tendency to be standoffish, so taking your puppy to a group class can be a great way for your puppy to meet new people and dogs while also learning to obey your commands. Ask your vet which vaccinations your puppy should have first, so they aren’t at risk of picking up diseases while socializing with other dogs. Positive reinforcement is the best way to train a Labradoodle. Give them a small, high-value reward every time they do something you ask for. This is a more successful training tactic long-term than using negative tactics and causing your dog to fear you. There is a lot of misinformation out there about Labradoodle grooming. I was a dog groomer for 12 years, and I’m here to set the record straight. Anybody, whether it’s a breeder or a website, who says that Labradoodles need minimal brushing or trimming and that their hair is shorter because they are part Labrador Retriever is either lying or misinformed. First, let’s look at the different coat types you can end up with when you mix a Labrador Retriever with a Poodle. Some websites like to throw out fancy words about the different Labradoodle coat textures, like hair, curly, fleece, wool, or straight, but many of those words mean different things to different people, and they aren’t entirely accurate descriptions of the coat types you will see in Labradoodles. Labrador coat: Genetics is a crazy thing. Even being half Poodle, you could come across a Labradoodle with a coat that resembles a Labrador Retriever. This seems to be more common with Goldendoodles, but it is certainly possible with Labradoodles. This coat type will shed like crazy but won’t need trimming. 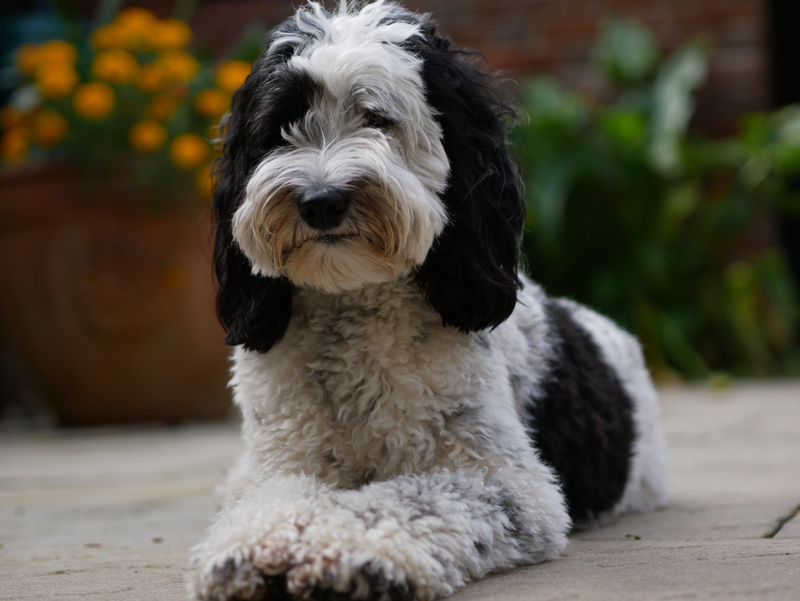 Wiry coat: This is one of the most common results of a first-generation Labradoodle (which is why second-generation Labradoodles are more common). Their fur is somewhat like a German Wirehaired Pointer. The texture of the fur makes it somewhat less likely to mat; however, Labradoodles with this coat type tend to shed A TON, and without brushing, all that undercoat can tangle up with the wiry coat and become a matted mess. Heavy brushing is required, with a minimum of a trim around the eyes, paws, and sanitary areas every couple of months. Many people prefer to keep these coats on the shorter side to reduce how much fur is around their home. Wavy coat: This coat type can be straight, too, but it has a different texture than wiry fur. It’s much softer and sheds somewhat less than the wiry coat, although it will still shed more than a curlier coat. This coat type gets matted very easily and requires plenty of brushing along with regular haircuts. While some breeders and websites say that the ideal coat length for a Labradoodle is 4-6 inches, that’s not practical with this coat type since it mats so easily. Curly coat: The coat type is more common in second-generation Labradoodles. The curls can be as tight as a Poodle’s curls or they may be somewhat looser. This coat type is the least likely to shed and is usually the most desirable for people looking for a “hypoallergenic” Labradoodle (more on that later). Curly coats can become quite matted and require daily brushing. Most people choose to have their curly-coated Labradoodle clipped to a length of half an inch or shorter so that the hair is easier to maintain in between haircuts. This type of coat needs to be seen by a groomer at least every 4-8 weeks to prevent severe matting that must be shaved down to skin level. As you can see, all Labradoodle coat types need a lot of brushing, and several require regular trimming as well. Taking a Labradoodle to the groomer can be expensive (up to $100 or more for Standard Labradoodles in some areas of the country), and brushing can be time-consuming, so it’s critical to decide whether you are prepared for the time and expense of maintaining a Labradoodle’s coat before you bring one home. Otherwise, you’re likely to be crying on the internet because the groomer shaved your dog. 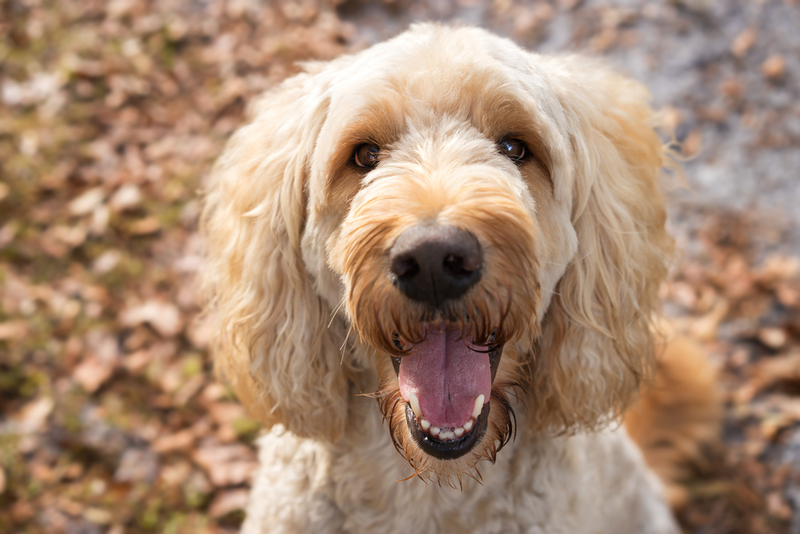 It’s a common question: What’s the difference between a Labradoodle and a Goldendoodle? At first glance, they can seem pretty similar, and that’s because they are. While Labradoodles are a mix of Labrador Retriever and Poodle, Goldendoodles are a mix of Golden Retriever and Poodle. That means that Labradoodles and Goldendoodles already share at least half of their genes. With both hybrids, second- or third-generation dogs are more popular since they usually shed less. These dogs are typically at least 75% Poodle, leaving even less room for differences between the two hybrids. Also, when you put a Golden Retriever next to a Labrador Retriever, the primary differences are the coat length and color. Golden Retrievers have medium-length fur that is always some shade of gold or red. 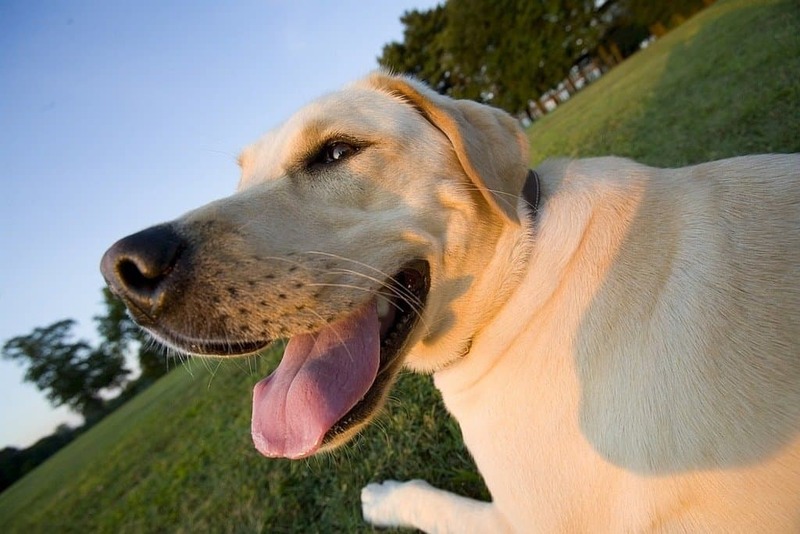 Labrador Retrievers have short coats in either yellow, chocolate, or black (although other colors like silver and charcoal are possible, they aren’t in the breed standard). Otherwise, the body shape and temperament of Labrador Retrievers and Golden Retrievers are quite similar. They’re a similar size and are both intelligent and eager to please. Golden Retrievers may be slightly less reserved than Labs, but they’re both generally friendly dogs. With so few differences between Labrador Retrievers and Golden Retrievers, what differences are there between Labradoodles and Goldendoodles? The biggest difference is in coat color. While Golden Retrievers can theoretically be mixed with Poodles of any color, they are typically mixed with white Poodles to create Goldendoodles that are a cream or gold color. Since Labradoodles come in 3 colors of their own and Poodles also come in a variety of colors, Labradoodles typically have a much wider variety of coat colors than Goldendoodles. While Goldendoodles are somewhat less prone to have the “wiry” coat type, Labradoodles and Goldendoodles otherwise have similar coat types. Don’t let anybody tell you that Labradoodles have shorter coats because Labs have shorter coats – they don’t know what they’re talking about. While the “wiry” coat type may grow to a certain length and stop, the curlier coats of both breeds will grow indefinitely. Since the differences in personality between Labs and Goldens are slight, the differences in personality between Labradoodles and Goldendoodles are slight, too, especially since both hybrids will also have some level of Poodle personality mixed in. In short, there are few differences between Labradoodles and Goldendoodles apart from the coat color choices and personal preference. Just as some people will always prefer Golden Retrievers over Labrador Retrievers, some people will always prefer Labradoodles over Goldendoodles. It all just comes down to personal preference. If you’re looking for a Labradoodle breeder, it’s important to find a reputable one who does testing on their parent dogs to ensure they’re working on breeding healthy puppies. Since Labradoodles have become so popular so fast, there are many disreputable backyard breeders and puppy mills producing Labradoodles as quickly as possible with no regard for the health of the puppies or the care of the parent dogs. While you may think that you are “rescuing” a puppy from a pet store that gets its animals from puppy mills, you are actually supporting puppy mills and forcing that puppy’s parents to continue living a miserable life in a puppy mill. Pet store animals also tend to have more health problems than puppies produced by reputable breeders. It’s not uncommon for puppies from pet stores to die from parvo within a week of coming home from the pet store. While this can happen to any puppy, it’s far more common in pet store dogs due to the conditions they’re kept in. How can you tell if a breeder is reputable? They do health testing on their parent dogs. They let you come to their home and meet at least one of the parent dogs. They don’t have more than one or two litters at a time. They have a waiting list to get a puppy rather than a large stock of puppies that are always available. They ask you lots of questions to make sure you’ll be a good pet parent and to figure out which of their puppies would be the best match for your household. Just looking for a few quick answers? 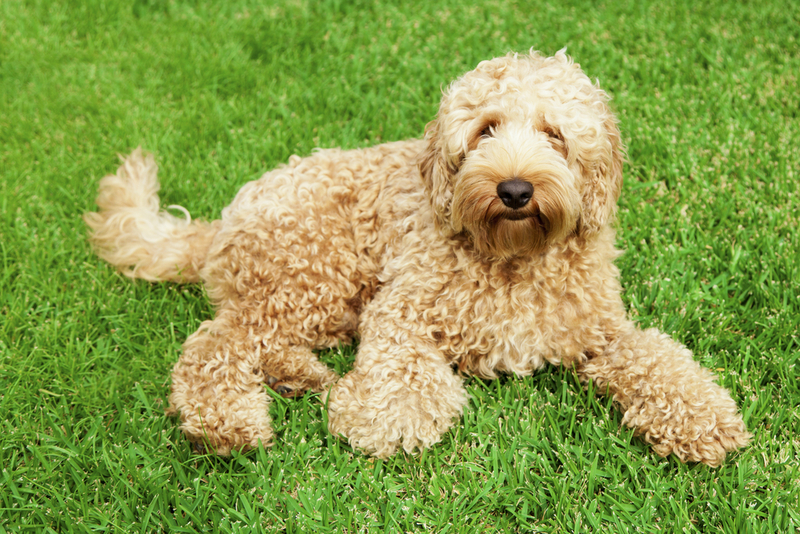 Here are the most common questions about Labradoodles. How much energy do Labradoodles have? Since both Labrador Retrievers and Poodles were bred to retrieve things all day long, Labradoodles have a ton of energy and need plenty of exercising. 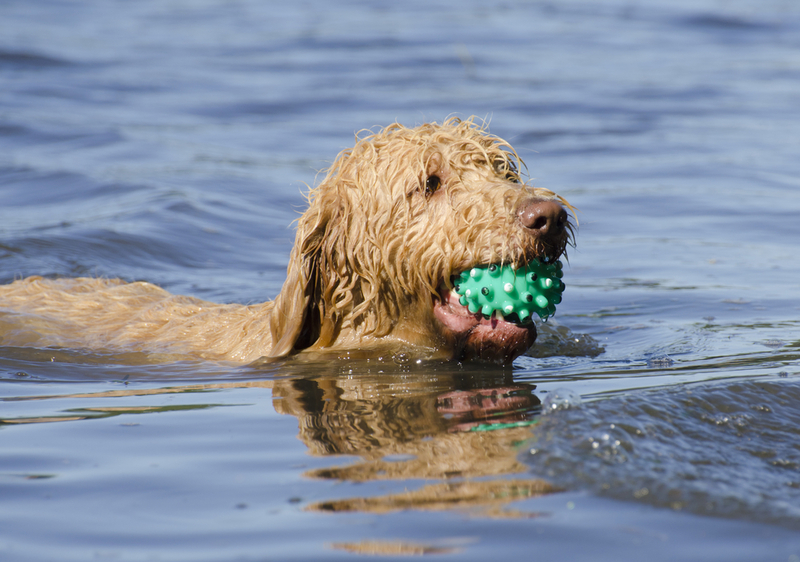 Swimming, running, and plenty of games of fetch are in your future if you choose to bring a Labradoodle into your home! Labradoodles come in 3 sizes: Miniature, Medium, and Standard. Miniature Labradoodles usually weigh between 15 and 30 pounds. Medium Labradoodles typically weigh 30-45 pounds. Standard Labradoodles weigh more than 45 pounds and may weigh as much as 100 pounds. Since Labradoodles are hybrids, there are no guarantees about how big they will get. The best thing you can do is see the size of both of the parent dogs to estimate how large your puppy Labradoodle will grow to be. Are Labradoodles good family dogs? Generally, yes, Labradoodles are good family dogs. They love children, but they can be rambunctious, and the exuberance of a Standard Labradoodle can be overwhelming for small children. Apart from the littlest kids, Labradoodles love children because they have enough energy to match their own. A yard, a ball, and a kid to play with will make a Labradoodle extremely happy. Technically, there is no such thing as a hypoallergenic dog. People are allergic to the dander and saliva of a dog rather than its fur. With that being said, dogs that shed less tend to leave less dander around the home and seem to be easier for people who have allergies. First-generation Labradoodles have the most unpredictable genes. While you may end up with a Labradoodle who doesn’t shed, you are just as likely to end up with one who does. Second- and third-generation Labradoodles tend to be easier on people with allergies than first-generation Labradoodles. Before bringing a Labradoodle home, have the person with allergies spend time with one to see how they react – it isn’t fair to rehome a dog shortly after bringing it home because somebody in your household is allergic to it. 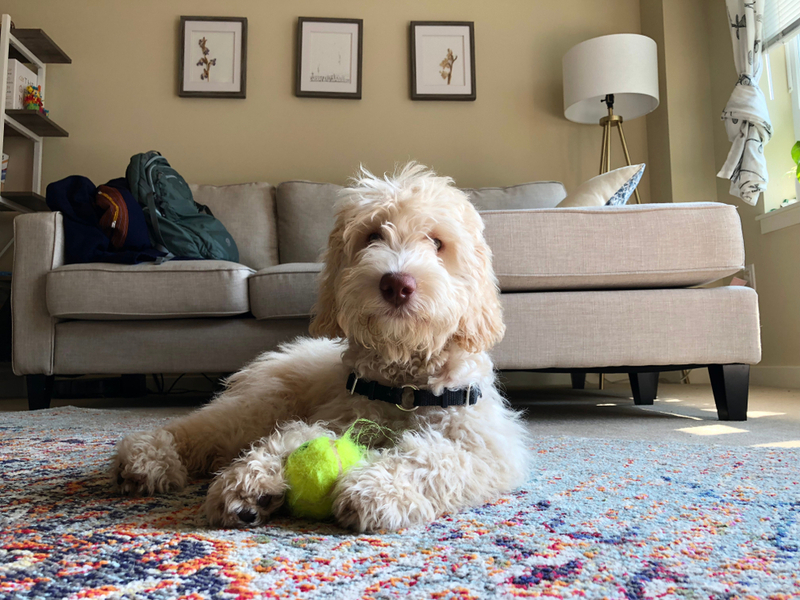 Can Labradoodles live in apartments? Labradoodles need plenty of exercise. 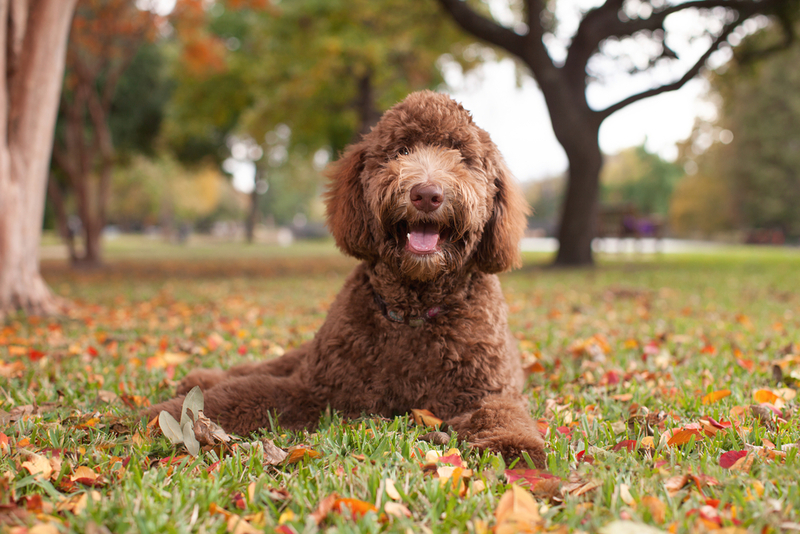 They love a backyard to run around in, but if you’re a fan of running, hiking, or cycling with your dog, or if you live near a dog park that you plan to visit regularly, then a Labradoodle can live in an apartment without a problem. There is one caveat to this, however: Labradoodles love their people and are prone to separation anxiety. If your Labradoodle decides to bark when left alone, your neighbors will be closer and angrier if you live in an apartment rather than a house. Are Labradoodles easy to train? Generally speaking, yes, Labradoodles are easy to train. The goal in creating the Labradoodle was to get a dog with the intelligence of the Poodle and the eager to please nature of the Labrador Retriever. While genetics don’t always work out that way, Labradors aren’t exactly stupid, and Poodles aren’t notoriously stubborn, so you’re still likely to end up with a dog that is easy to train with patience and positive reinforcement. How long do Labradoodles live? Since Labradoodles are a relatively new hybrid, there aren’t a lot of statistics about how long they live, but they should have a similar lifespan to their parents. Labrador Retrievers have an average lifespan of 10-12 years, and Poodles have an average lifespan of 10-18 years, depending on their size. Smaller dogs tend to live longer than large dogs, so Miniature Labradoodles are more likely to live to 18 than Standard Labradoodles. Wrapping Up: Is the Labradoodle Right For Your Family? There sure are a lot of factors to consider before deciding if the Labradoodle is right for your family! Hopefully, we answered enough of your questions to help you make the decision. If you have the time for exercise and grooming your Labradoodle, they can be a great family pet, but you must be realistic about whether you can keep up with their exercise and grooming needs. Do you already have a Labradoodle? Did we miss any important facts? Be sure to let us know in the comments below! 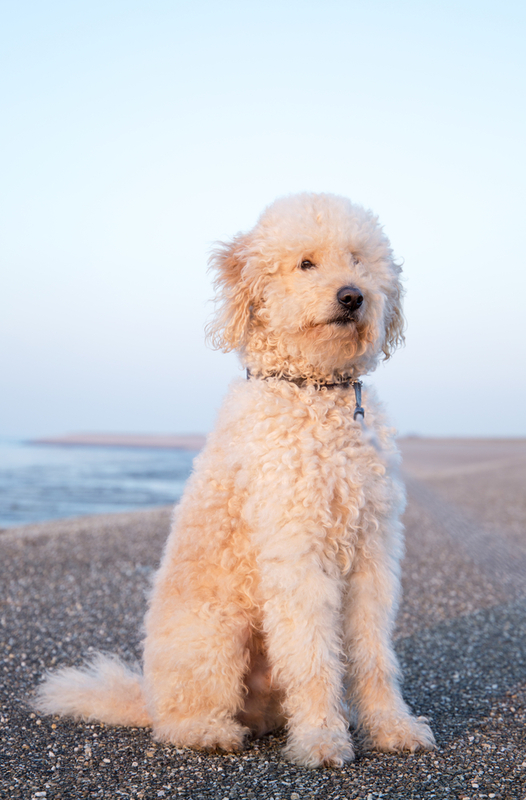 Goldendoodle: Is The Groodle a Good Fit for Your Family? Bernedoodle: The Ultimate Fun-Loving Companion?